Steve Morris, age 79, of Nashville, passed away on April 11 at St. Thomas West Hospital. He was born Oct. 3, 1939, in Montgomery, Ala., to the late Mary Morris and Earl Marion Morris. He also is preceded in death by his sister Elise Powers. He is survived by his wife of 55 years Jackie; two daughters Jennifer Smoot (Robbie) and Stephanie Hasbrouck (Dave); grandchildren Hannah and Hailey Smoot and Oliver, Henry and Charlie Hasbrouck; and numerous nieces and nephews. Steve graduated from Sidney Lanier High School in Montgomery in 1958. After high school, he joined the United States Air Force, where he served as Airman First Class and Radio Intercept Analysis Aide. Following his military service, Steve worked as a store design engineer for nearly 40 years. He and his family moved to Nashville in 1973. 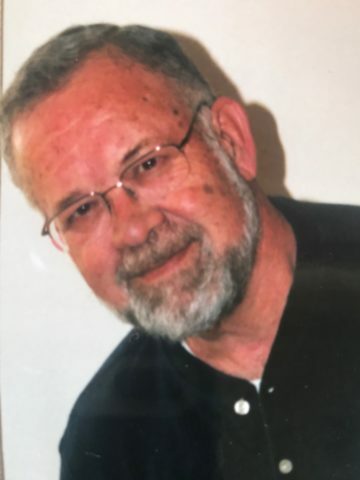 He was an active member of Hillsboro Presbyterian Church for more than 35 years. He enthusiastically attended the church men’s monthly first Friday Meetings (aka poker night), where he made several lasting friendships. Steve will be remembered for his love of vegetable gardening, beach vacations and kitchen creations. He loved to cook and insisted on baking his daughters’ birthday cakes each year. He also happily hosted Gramps Camp each summer for his five grandchildren, where they participated in games, outdoor activities and the ever-popular pancake making contest. Those who knew him well also will remember him by his stories and humorous anecdotes. Nothing pleased him more than sharing his many experiences and adventures. A celebration of Steve’s big, beautiful life will be held Wednesday, April 17, at Harpeth Hills Memory Gardens Funeral Home, 9090 Hwy. 100 in Nashville. Visitation will begin at 10 a.m., with services following at 11:30. A private burial has been scheduled for a later date. In lieu of flowers, the family has requested donations be made to St. Jude Children’s Research Hospital or the American Diabetes Association. Kinley Brenice & Family, So sorry to hear about David. Our thoughts and prayers are with you during this time of sorrow. May God comfort and Bless you in the forthcoming days.